For 2013 and beyond, the new model of the Ruby spa is the QCA Spas Venus. Combining a turbo air system with hydrotherapy water massage puts these spas in a higher class. Made of the highest quality ABS backed Lucite acrylic, the Ruby +2 boasts 53 jets in a high performance system. The unit is also outfitted with adjustable neck and shoulder jets and an 8″ waterfall. This spa features 53 hydrotherapy jets including 14 turbo massage jets. Moulded drink holders, ambient lighting and top side controls all add to your comfort. Ruby is a lounger model that also has four contoured bucket seats. The spa cabinet provides is a PVC maintenance free cabinet. 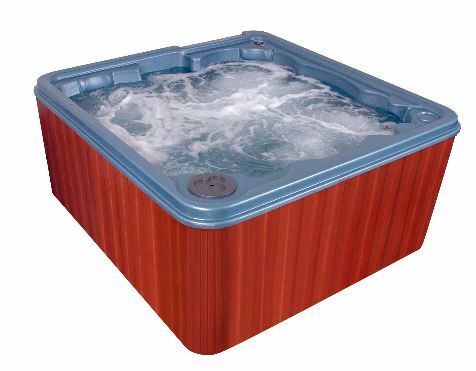 Email us at info@hottubspatips.com if you have any questions or are interested in getting more information. Ruby / Venus 30 Jet spa available for shipment anywhere in North America. Get a special $200 discount on any factory direct spa. Email us at info@hottubspatips.com for details.